Laser shows at the TJC Science Center for a limited time only! 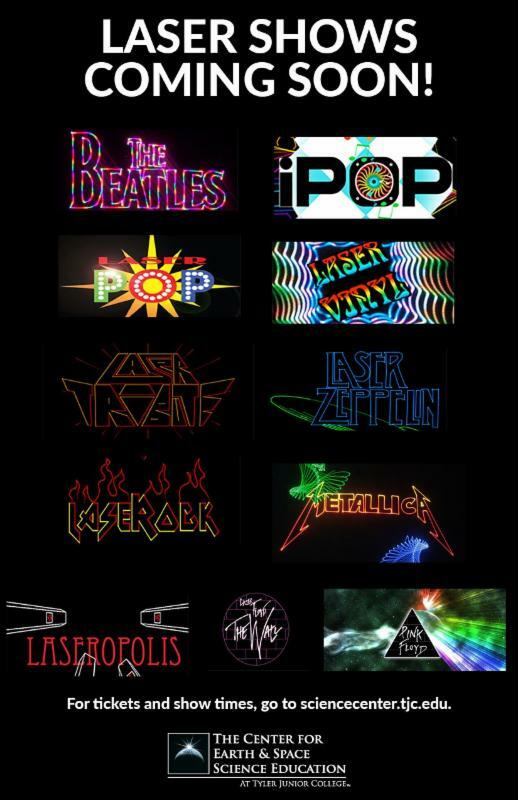 Laser shows are back for a limited time only! Be dazzled by brilliant lights and great choices of music in the dome theater the evenings of April 27-29th! Musical show selections include the Beatles, Pink Floyd, Metallica, Justin Bieber and more -- so there is music for everyone. Seating is limited so it is recommended that you purchase tickets in advance. Please plan to arrive at least 15 minutes in advance of show time as it is open seating. If you have any questions feel free to give us a call at 903-510-2312!